Making your home smarter home doesn't have to be expensive. And today it's downright cheap. B&H Photo is running a sale on TP-Link accessories that can save you up to 50 percent on popular plugs, switches, and Wi-Fi accessories—as long as you remember to clip the coupons before you check out. First up is a two-pack of the HS105 Wi-Fi Smart Plug Mini. Normally selling for $25 each, you can get a pair of these plugs for $28Remove non-product link, a savings of 44 percent. The Wi-Fi smart plug mini allows you to turn any dumb device into a smart one by letting you turn devices off and on remotely and schedule usage times and away mode. You can also hook it up to Alexa and Google Assistant for hands-free operation with a smart speaker. 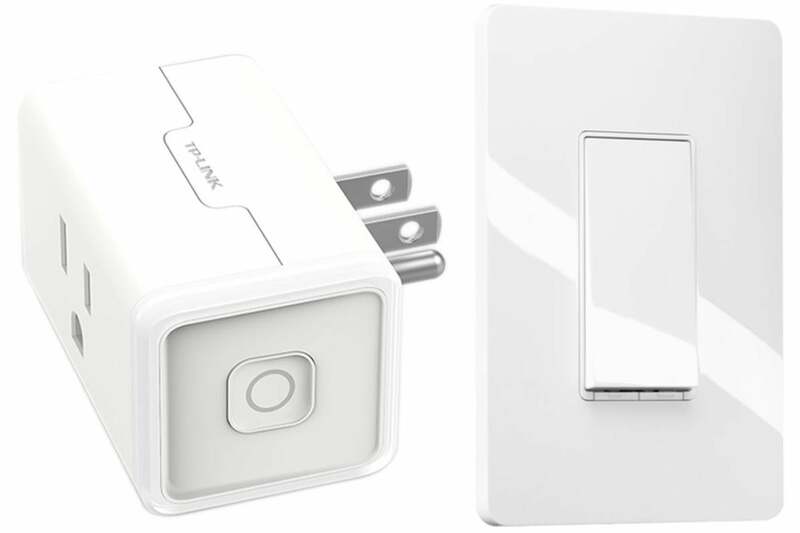 A two-pack of TP-Link's Smart Wi-Fi Light Switch is down to $40Remove non-product link, a $30 discount off its $70 list price. While it looks just like an ordinary light switch, once you connect it to Wi-Fi, you'll be able to control your lights from anywhere, including scheduling times and away mode. Like the smart plug, it also works with Alexa and Google Assistant. Finally, you can make sure your network can handle all of your new gadgets with half-off the TP-Link RE360 AC1200 dual-band wireless range extenderRemove non-product link, bringing it down to $35. The dual-band wireless range extender boosts the range of your existing Wi-Fi setup and supports data throughput up to 1200 Mb/s Wi-Fi. It also features dual external antennas and a gigabit ethernet port. To get any of these deals, you'll need to click the coupon above each of the Add to cart buttons on the B&H Photo site. If you forget, the coupon will also appear in your cart, but again, you'll need to click it to make it active. Once clicked, the savings will automatically appear when you view your cart.